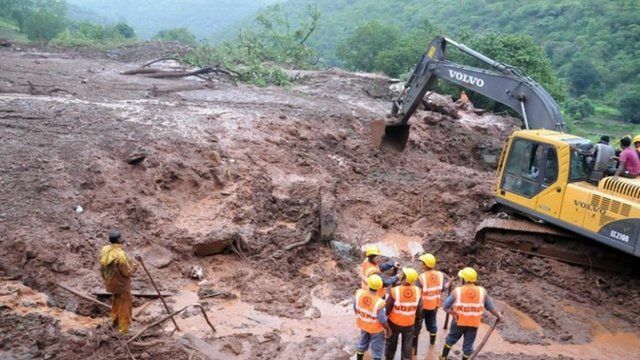 At least 17 people have been killed after a landslide buried some 40 houses and trapped about 150 people in a village in west India, officials say. Teams of rescue workers managed to save six people in Malin village in Pune district in Maharashtra state, but have been hindered by the terrain. Yogita Limaye reports from Mumbai.